The PLIDCO® Flange Repair Split+Sleeve is used to fully encompass a flange set stopping the leak by sealing on the pipe beyond the flange welds. It has the ability to cover a wide variety of flange types and classes for both onshore and offshore applications. It is safe, easy to install, and as an option, can be welded while the line is in service. The PLIDCO® Flange Repair Split+Sleeve is hydrostatically tested to 1.5 times its working pressure and is designed using ASME Section VIII and API 6H. The design includes bolt induced bending stresses where applicable. Steel GirderRing holds the seal material in place to prevent displacement during installation. The body and seal design have over 60 years of proven success. 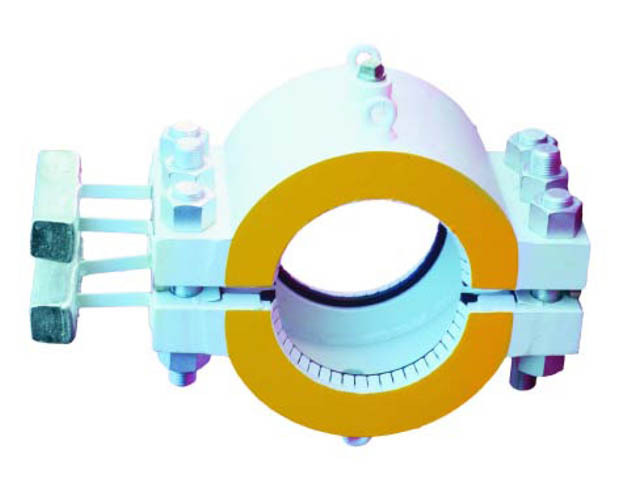 The PLIDCO® Flange Repair Split+Sleeve can be used for a temporary or permanent repair. If not welded on the line, the fitting can be reconditioned by PLIDCO® and returned to customer stock.